The NUFC Fans Foodbank initiative has been ongoing for just over a year and the collections before NUFC home matches have been well documented, and are part of the match day experience for many. 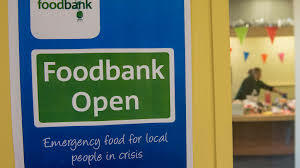 What has been less well documented is the NUFC Fans Foodbank donation station which is based in the City Centre’s Grainger Market. Opened at the end of last season, in an effort to receive donations from fans in the close season, the initiative has carried on continuously, and is currently based within the Grainger Market at Alley 2, Units 49-50 and is open from 10am on Thursday, Friday and Saturdays. At the time of writing almost £10k has been collected and the aim is to reach that sum by the first anniversary of the donation stations opening which was on 28th April 2017. Please feel free to call in, make a donation, and have a chat with the volunteers who all give up their time for free and love a visit. It’s great to see fellow Geordies supporting their own community in times of need!